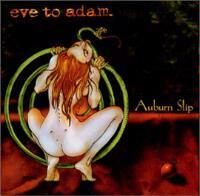 Eve To Adam make their debut with "Auburn Slip", and it's apparent that they have skill and talent beyond that of most rookie bands. The four New York transplants, led by the Greek-American Sassaris brothers, have a very polished hard rock sound that should appeal to those into bands like Tool, Creed and other modern alt-rock groups. Their music is not wholly original yet, and they are still finding themselves, but they have a sultry, emotional sound based on dramatic melodies and punchy riffs. Well produced by Sylvan Richardson Jr. and the band themselves, the record bounces back and forth from mysterious, laid back melodies that are almost Doors-like to crunchy, easy-to-get into riffs. Taki Sassaris' vocals have good range, venturing from low-key crooning to a hoarse shout. Often, though, the band relies on their formula too much and the result is that a lot of the material sounds rather samey by the end of the record. If you are looking for a hard rock record that's more than just nu-metal yelling and rapping but that doesn't lose its edge, "Auburn Slip" is a worthy purchase. Great catchy bass riff dominates this punchy number. It's also graced by a very memorable chorus and good vocals from Taki. This is a good introduction to the band. The CD's most aggressive cut, this is sort of like a more commercial Tool, with hard driving riffs and some experimental guitar noise from guitarist Gaurav Bali. It is a very worthy alternative metal track and the heaviest on the record. By now Eve To Adam's approach is pretty obvious. This continues their hard/soft alternating approach, with delicate, almost U2-like guitar arpeggios appearing now and then. It's apparent the band has the gift of coming up with catchy and appealing choruses. Things slow down with this number, which is not exactly a ballad but which shows a more restrained and openly melodic slant. Short and to the point, killer bass and drum interplay highlight this faster paced and angry sounding cut. Another song that alternates an introspective verse and heavy chorus, this is definitely more alternative rock than heavy metal. It drags on too long and lost my interest. "Peel" is a very mysterious and ominous sounding track. Again, not one of the more overtly heavy numbers but it sounds really cool due to a Middle Eastern flavor and another great chorus. This is a pretty typical Eve To Adam cut. Much like "Find Yourself Another", it has that same structure. It is not a bad song but already sounding kind of familiar. I love the fat, spacey riff that starts this song. It is another track that has that mysterious feel to it and seems to reflect a slight Middle Eastern influence. This is pretty typical millennium alt-rock stuff. 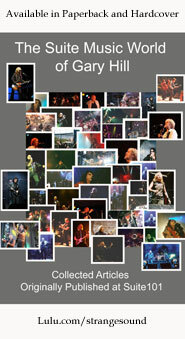 It doesn't stand out as anything different from countless other bands plying this same territory. This almost reminds me of Soundgarden's "Black Hole Sun", not so much in the actual riffs but with the same spacey, drifting feel. It is kind of an eerie little number which ends the album on a fairly restrained note.